The debate over women's rights and Islam is often politicized and riddled with stereotypes. Muslim women are not all victims, renegades or standard-bearers for religious or cultural authenticity. They are not foils with which to bash Islam or through which sympathetic Westerners can congratulate themselves on their cultural superiority. 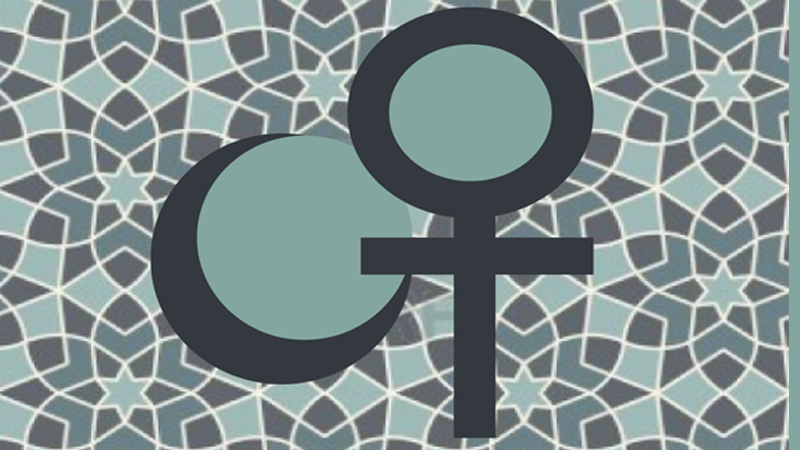 True solidarity with women in the Muslim realm means paying less attention to self-serving male rulers and to cosmetic official initiatives and more to the lively, often contentious debates taking place within Muslim societies. True solidarity means paying more attention to the diverse voices of women and to their ideas of how they want to advance their own cause. These voices are secular and religious, young and old; they are also often critical of Western policies in the region. This groundbreaking study examines Muslim female superheroes within a matrix of Islamic theology, feminism, and contemporary political discourse. Through a close reading of texts including Ms. Marvel, Qahera, and The 99, Sophia Rose Arjana argues that these powerful and iconic characters reflect independence and agency, reflecting the diverse lives of Muslim girls and women in the world today. ... a most welcome addition to the body of scholarship on the Sokoto Jihad and Caliphate." --Religious Studies Review The fascinating life and times of Nana Asma'u (1793 - 1864), a West African woman who was a Muslim scholar and poet. As the daughter of the spiritual and political leader of the Sokoto community, Asma'u was a role model and teacher for other Muslim women as well as a scholar of Islam and a key advisor to her father as he waged a jihad to bring Islam to the population of what is now northwestern Nigeria. 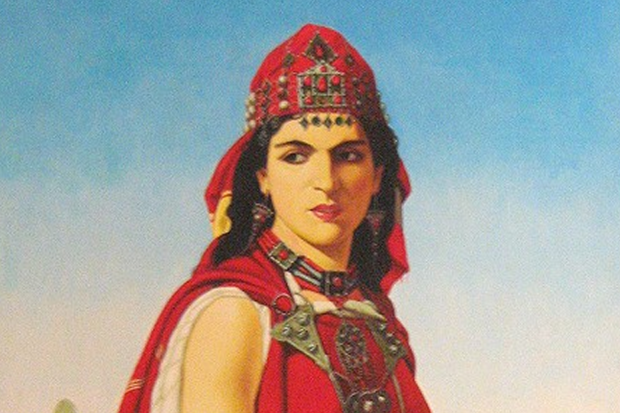 An Early Feminist: Al-Kahina, 7th Century North African Queen--Fact or Fancy? HarassMap (A system in Egypt for reporting incidences of sexual harassment via SMS messaging. This tool will give women a way to anonymously report incidences of sexual harassment as soon as they happen. By mapping these reports online, the entire system will act as an advocacy, prevention, and response tool, highlighting the severity and pervasiveness of the problem). "Women and politics in the Islamic republic of Iran"
Revisited: Muslim Women's agency and feminist anthropology of the Middle East. Sep 23, 2017 - Contemporary Islam. pp 1–20 Sertaç Sehlikoglu. Lindsey, Ursula (11 April 2018). "Can Muslim Feminism Find a Third Way?" New York Times. Retrieved 11 April 2018. Re-defining Feminism/s, Re-imagining Faith? Margot Badran. Feminist critique and Islamic feminism : the question of intersectionality / Dr. Sara Salem © Copyright 2015 The Postcolonialist. Factbox-Women's rights in the Arab world Thomson Reuters Foundation - Tue, 12 Nov 2013. Links to many other interesting articles. How to challenge the patriarchal ethics of Muslim legal tradition 13 May 2013. Save the Muslim girl Article from Rethinking Schools, Volume 24 No. 2 - Winter 2009-10. Stolen voices of Muslim women April 26, 2005. Why do they hate us ? The real war on women is in the Middle East FP, 2012. Women in the Middle East: Progress or regress? The Middle East Review of International Affairs, Volume 10, No. 2, Article 2 - June 2006. “Steps of the Devil” : Denial of Women’s and Girls’ Rights to Sport in Saudi Arabia Human Rights Watch report on the ban on women's participation in sport in Saudi Arabia. *Democracy, women’s rights, and public opinion in Tunisia / Robert Brym & Robert Andersen. Feminism and Islam: Legal and Literary Perspectives is the title of Saudi scholar Mai Yamani's 1996 book comprising the essays of a substantial number of women scholars who are articulating an emerging Islamic feminism. (Published for CIMEL by Ithaca Press, 1996). Feminism Inshallah : the story of Arab feminism. New York, NY : Woman Make Movies,  Filmmaker and author Feriel Ben Mahmoud tracks the progress of Arab women in their long march to assert their full rights and achieve empowerment. 1 videodisc (52 min.) In Arabic and French subtitled in English. [@ Dean Room Videodisc 6065--Uris Library Hours/Map]. Contesting female, feminist and Muslim identities : post-socialist contexts of Bosnia and Herzegovina and Kosovo / edited by Zilka Spahic-Siljak. "Prepared in the framework of the Regional Research Promotion Programme in the Western Balkans (RRPP), which is run by the University of Fribourg upon a mandate of the Swiss Agency for Development and Cooperation, SDC, Federal Department of Foreign Affairs" Foreword / Margot Badran -- Introduction / Zilka Spahić-Šiljak -- Women and politics / Lamija Kosović and Zilka Spahić-Šiljak -- Feminisms and Islam / Zilka Spahić-Šiljak -- The contexts of BiH and Kosovo / Gorana Mlinarević, Jasmina Čaušević, Ardiana Gashi [and others] -- Being a woman / Zilka Spahić-Šiljak and Lamija Kosović -- Becoming a feminist? / Zilka Spahić-Šiljak -- Conclusion / Zilka Spahić-Šiljak. How feminists and Islamists have constituted each otherOCOs agendas in Morocco"
The relationship between Islam and feminism is complex. There are many Muslim scholars who fervently promote women's equality. At the same time, there is ambivalence regarding the general norms, terminology, and approaches of feminism and feminist theology. This ambivalence is in large part aproduct of various hegemonic, androcentric, and patriarchal discourses that seek to dictate legitimate and authoritative interpretations. These discourses not only fuel ambivalence, they also effectively obscure valuable possibilities related to interreligious feminist engagement. Divine Words, Female Voices is the follow-up to Jerusha Lamptey's 2014 book, Never Wholly Other, in which she introduced the idea of "Muslima" theology and applied it to the topic of religious diversity. In this new book, she extends her earlier arguments to contend that interreligious feministengagement is both a theologically valid endeavor and a vital resource for Muslim women scholars. She introduces comparative feminist theology as a method for overcoming challenges associated with interreligious feminist engagement, reorients comparative discussions to focus on the two "DivineWords" (the Qur'an and Jesus) and feminist theology, and uses this reorientation to examine intersections, discontinuities, and insights related to diverse theological topics. This book is distinctive in its responsiveness to calls for new approaches in Islamic feminist theology, its use of themethod of comparative theology, its focus on Muslim and Christian feminist theology in comparative analysis, and its constructive articulation of Muslima theological perspectives. In this book, utilizing the case of Iran under Khomeini, the author analyzes the relationship between Islam, Islamic fundamentalism and gender inequality. "Men and Women's Rights in Islam: Equal or Equally Balanced?". www.call-to-monotheism.com. Women Living under Muslim Law an international solidarity network that provides information, support and a collective space for women whose lives are shaped, conditioned or governed by laws and customs said to derive from Islam. Why Muslim Feminists Aren't Celebrating Hirsi Ali.